Pick up an old broom into a new home Magical properties has a broom in the popular understanding. They believes that it brownie lives under broom . 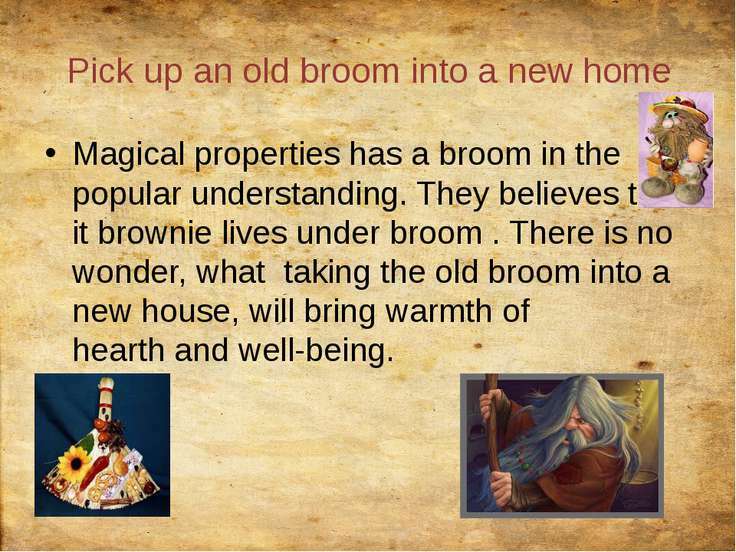 There is no wonder, what taking the old broom into a new house, will bring warmth of hearth and well-being. 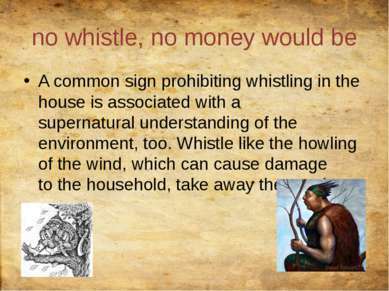 no whistle, no money would be A common sign prohibiting whistling in the house is associated with a supernatural understanding of the environment, too. Whistle like the howling of the wind, which can cause damage to the household, take away the good. 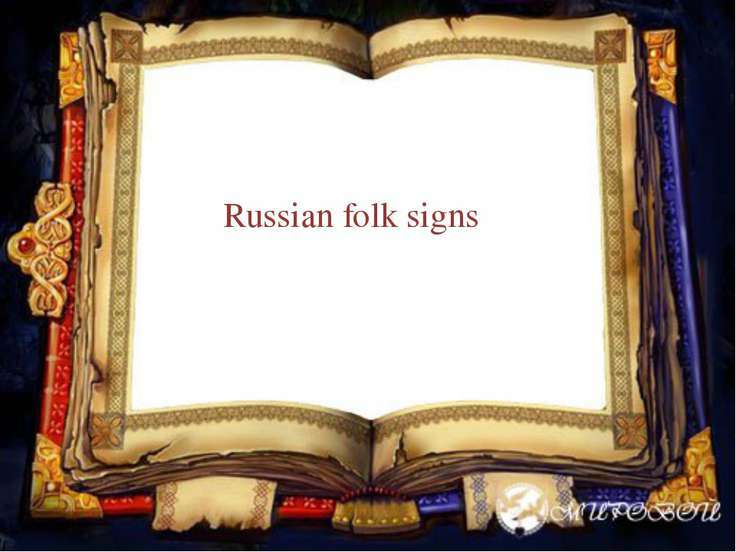 do not leave on the verge - to quarrel The fact that the threshold has a special place in the Russian character. This is a board between the housing and the outside world, and inappropriate behavior can attract evil spirits. Also, say “welcome” to the person or say goodbye to him at the threshold against the rules of propriety. 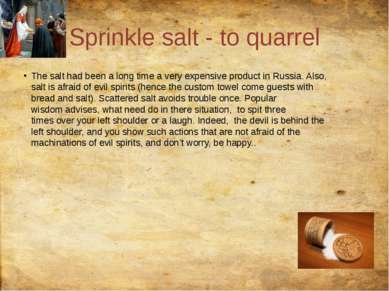 Sprinkle salt - to quarrel The salt had been a long time a very expensive product in Russia. Also, salt is afraid of evil spirits (hence the custom towel come guests with bread and salt). Scattered salt avoids trouble once. Popular wisdom advises, what need do in there situation, to spit three times over your left shoulder or a laugh. Indeed, the devil is behind the left shoulder, and you show such actions that are not afraid of the machinations of evil spirits, and don’t worry, be happy..